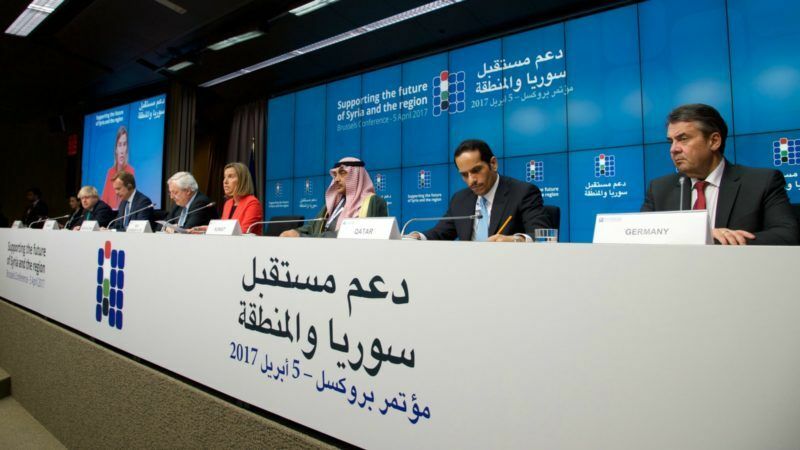 International donors yesterday (5 April) pledged $6.0 billion in aid for Syria this year at a conference overshadowed by a deadly chemical attack blamed by the West on Damascus. The countries further pledged $3.73 billion in aid for 2018-20 at the Brussels meeting, which was co-chaired by the European Union and United Nations and follows a conference in London last year which raised $12 billion (€10.1 billion). “Our conference is sending a powerful message, we are not letting down the people of Syria,” EU Humanitarian Aid Commissioner Christos Stylianides told delegates. Stylianides did not clarify if the funding was new, or if it included some funds previously pledged by the international community for war-torn Syria. In London last year, donors put together two $6.0 billion tranches in aid, one for 2016 and the other to cover the period to 2019. 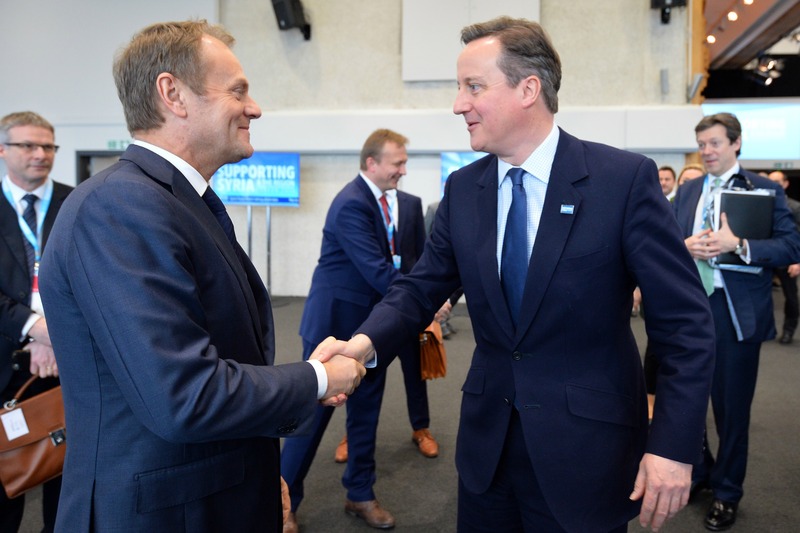 UK Prime minister David Cameron said the London conference for supporting Syria and the region raised more than $10 billion (€9 billion) – the largest amount of money ever raised in one day in response to a humanitarian crisis. Five NGOs (NRC, SAVE, Care, Oxfam, IRC) stated that last year in London, governments made unprecedented pledges to support refugees and Syria’s neighbouring countries, and provided additional and multiyear funding to deal with the crisis. The two-day Brussels meeting brought together some 70 countries and aid groups who also wanted to show support for UN-sponsored peace talks between the rebels and Russian-backed President Bashar al-Assad. Wednesday’s session was dominated by news that at least 72 civilians including 20 children had been killed in a suspected chemical weapons attack on the rebel-held town of Khan Sheikhun in Idlib province. For Diaeddin Al Zamel, the call to save Syria at an EU-UN conference in Brussels, was not supposed to be a punch to the gut. “The horrific events of yesterday demonstrate unfortunately that war crimes are going on in Syria,” said UN chief António Guterres. “This conference must represent a moment of truth where the international community” finally comes together to settle the war and give the Syrian people hope, he said. British Foreign Secretary Boris Johnson told delegates it was “impossible for us to ignore the horrific attack” and pointed the finger of blame firmly at Damascus, as the US ambassador to the United Nations, Nikki Haley, warned of unilateral American action. Johnson and other delegates in Brussels repeatedly urged all parties to the conflict and their backers to condemn the attack and the use of chemical weapons. The war has claimed more than 320,000 lives since anti-Assad protests descended into a full-blown civil war in 2011, with 5 million Syrians fleeing the country and most of the remaining population being displaced. Most of the refugees have ended up in Turkey, Lebanon and Jordan. The UN warned Tuesday that the plight of the refugees was becoming “desperate”, with only €433 million out of a needed €4.7 billion euros pledged so far. The UN estimated another €3.4 billion was needed for humanitarian aid in Syria. Lebanese Prime Minister Saad Hariri urged donors to “invest in peace”. “Ladies and gentlemen, the current situation in Lebanon is a ticking time-bomb,” he told the conference. Representatives from 70 countries and organisations at the Brussels Syria donor conference called for lessons to be learned from a chemical weapons attack that left scores dead. EURACTIV Germany reports. The Brussels conference was not meant to address the key sticking point of Assad’s future role in the Geneva talks. The rebels and their backers demand that Assad stand down but Moscow and Tehran show no sign of abandoning their longstanding ally. Assad’s main backer Russia, which was also represented at the Brussels conference, said Tuesday’s attack happened after an air strike hit a “terrorist warehouse” containing “toxic substances”. 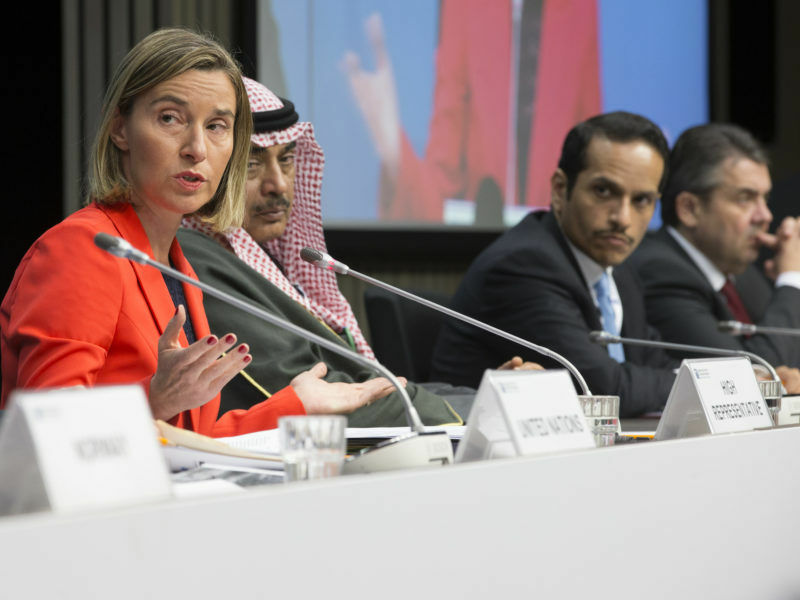 EU foreign affairs chief Federica Mogherini admitted it was “surreal especially today” to be discussing the “post-conflict situation”. Delegates made it clear that aid for reconstruction would not be forthcoming until there was a genuine political transition to a new Syrian government without Assad. 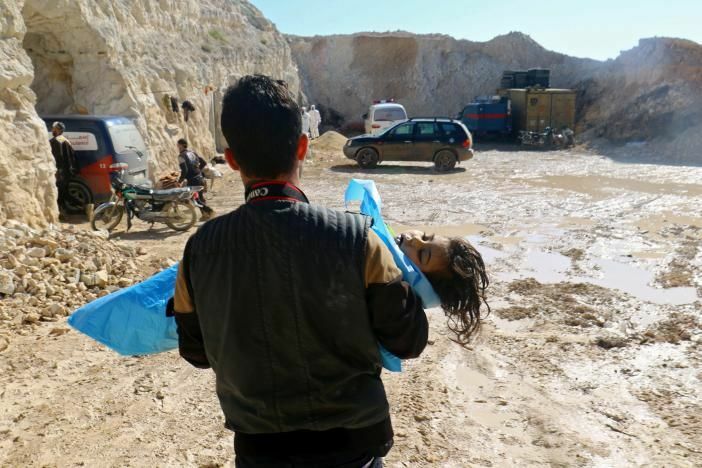 “Our publics will not accept that their money go in any way to those responsible for these crimes,” Johnson said, referring to the Idlib attack. Russia’s Deputy Foreign Minister Gennady Gatilov, who represented Moscow at the conference, said his government does not believe that it is possible to resolve humanitarian problems without reaching a political solution first. He pointed out that Russia, Turkey and Iran have jointly launched the so-called Astana format, and that thanks to this initiative it has become possible to resume the intra-Syrian negotiations, the last round of which has just taken place in Geneva. “We consider it unacceptable to use the humanitarian leverage to influence the sovereign choice of the Syrians. It is indispensable to depoliticise the humanitarian dossier, to stop artificially inflating ‘tragedies of the day’. The provision of the humanitarian assistance should be carried out in direct coordination and in a mutually respectful dialogue with the legitimate Government of the Syrian Arab Republic, which, unfortunately, once again was not invited to the Conference. This is not the right approach”, Gatilov said. [Read Gatilov’s speech on Facebook]. The problem is not that the humanitarian NGOs are saying too little, but that all the money and the attention goes to the environmental GONGOs, that make emotional campaigns and disorient the citizens from real challenges.